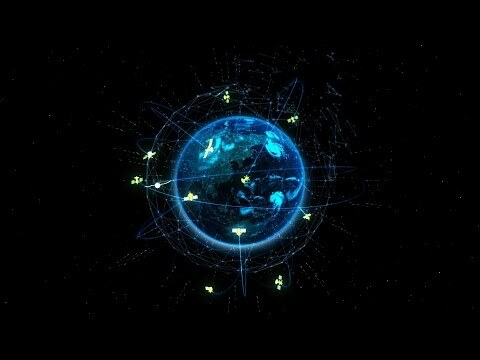 Countries all over the world are engaged in heated competition to develop GPS-based location data technology for national security and economic development. The spatial, speed, direction and time data provided by a GPS are widely used already, and form part of the essential infrastructure of our daily life in both the public and private sectors. GPS is used in diverse areas encompassing vehicle navigation, aerial and marine navigation systems, rescue and lifesaving efforts, leisure activities, and the protection of wild animals, etc. Recently, SBAS (Satellite Based Augmentation System) was developed to enable the acquisition of ever more accurate GPS data. SBAS, a technology capable of reducing GPS error to less than 3m, was adopted by the ICAO as the international standard system, with the goal of securing its global operation for aerial navigation from 2025. In Korea, KARI will also lead to the development of KASS, which is the Korean model of satellite-based augmented systems (SBAS). The open service will be launched in 2020, followed by a system performance certification, and then the Safety of Life (SoL) service for aviation will be launched at in October 2022. Once KASS data are available, the aircraft location confirmation interval should be reduced to 0.5 seconds, and aircraft positions will be identified more accurately. Moreover, it will be possible to share the location data of all navigating aircraft so as to prevent air collision, and it is expected to enable tracking of an aircraft’s location at the time of an accident. GPS data readings from an aircraft, ship or smartphone have a margin of error of 17~37m because of the time delay caused by refraction of the electromagnetic signal emitted by a satellite outside the earth’s atmosphere as the signal passes through the ionosphere and atmosphere. As such, WAAS in the USA, EGNOS in Europe, and MSAS in Japan have developed the GSP correction system SBAS to reduce the margin of error to less than 3m using a satellite in geostationary orbit. SBAS supports broad area or local supplementation using an additional satellite broadcasting message. The system consists of multiple ground observation stations(reference station) located at accurately measured points. The ground observation station(reference station) measures environmental factors that can affect the GNSS signal received by users. It then uses these measurements to generate data which are then sent to one or more broadcasting satellites for transmission to the final user. 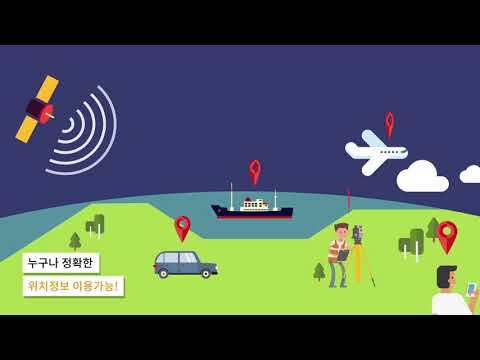 KARI is developing the Korean SBAS to provide customized navigation data to sky, ground and offshore users by correcting the current GPS data margin of error of 17~37m to around 3m. The KASS project is being sponsored by MOLIT and led by KARI, with the participation of ETRI. Upon completion of the ‘KASS' project, Korea is expected to become the seventh country after the US, various European states, and Japan to own an SBAS. The open service of KASS, the Korean model of satellite-based augmented systems (SBAS), will be available free of charge, except to aircraft, beginning in July 2020. The Safety of Life (SoL) service will be extended to all aircrafts navigating inside Incheon FIR beginning in October 2022. As the data will be provided by satellite free of charge, all terminals using GPS data will be able to utilize the data with nothing more than a software upgrade, without requiring any additional hardware. According to the 2013 preliminary feasibility study report of the ‘Multi-purpose SBAS Development and establishment Project’ analyzed by KISTEP the KASS service is expected to yield the benefits of KRW 8.4 billion in reduced aircraft accidents, KRW 2.3 billion in reduced carbon emissions, and KRW 36.7 billion in reduced aircraft fuel costs between 2022 and 2028 when its development is completed. Meanwhile, benefits in the location-based service area will include the improved performance of information and communication devices, a reduction of automobile navigation errors, the prevention of marine accidents and rapid identification of the location of senior citizens, lost children, and emergency situations.